This beautiful Reno Leather Sectional Sofa with Cuddler is settling in to its new home in St. George, Utah! 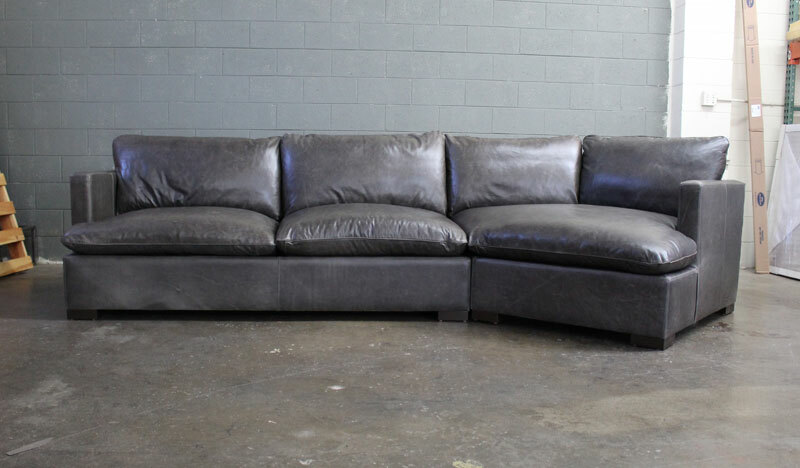 Our customer ordered this leather sectional in our Italian Glove Timberwolf leather (Mont Blanc Timberwolf). In our factory, we refer to this particular leather as the “Grey Brompton”, because it is just that. Brompton in Grey! Glove Timberwolf is a full grain, waxed pull-up leather with natural scars, aniline dyed and made on the same hides, in the same Italian tannery. Someone is going to be grinning as the kick back and break in these feather & down wrapped cushions! Built with love, right here in the US. It’s in the name for a reason! 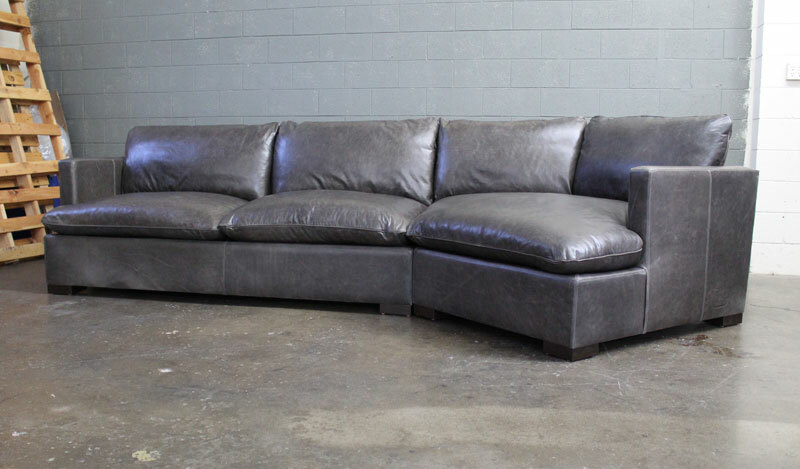 The popular cuddler portion of the Reno Leather Sectional offers a huge deep seating area in addition to the two generously sized sofa seats. 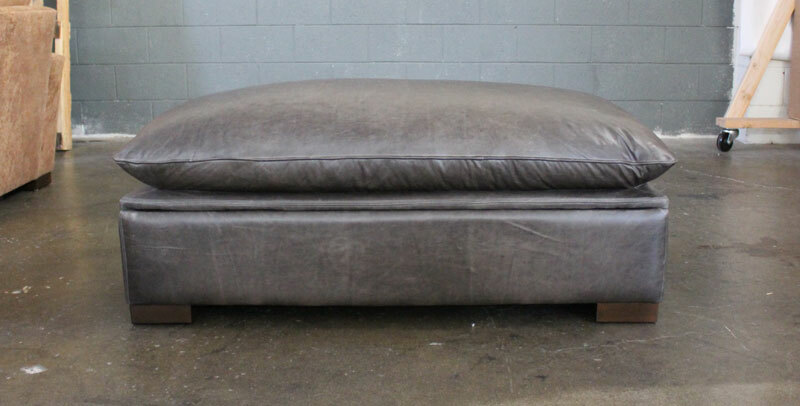 This customer added the Reno Leather Cocktail Storage Ottoman. Here you can see the feather & down standing tall from all of the air inside. 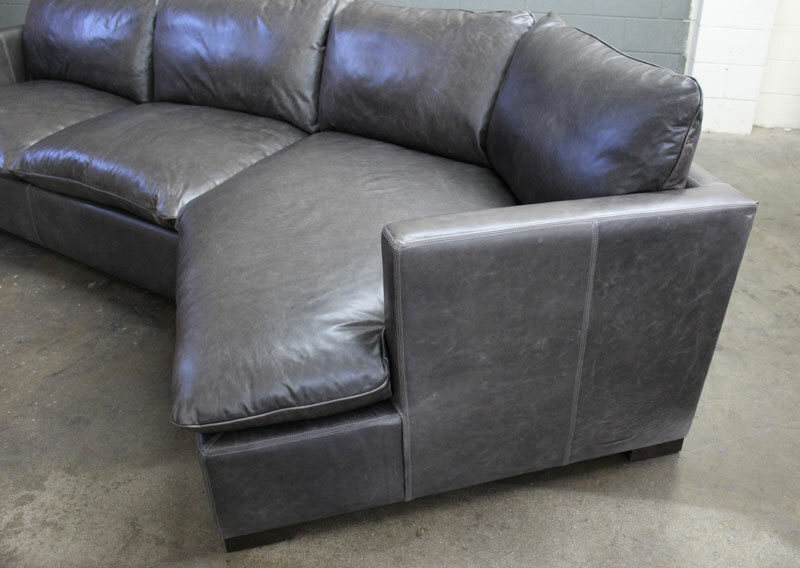 This will breathe and create a comfy, rumpled top to extend the seating of the Reno Leather Sectional. This entry was posted in Custom Leather Order Feed, Reno and tagged Cuddler, Glove Timberwolf, Mont Blanc Timberwolf, Reno Leather Furniture Collection, Reno Leather Sectional, Reno Leather Sectional with Cuddler, Storage Ottoman on August 19, 2015 by LeatherGroups.